Five weeks in, Marvel’s Black Panther continues to astound with its success. The superhero movie, the first in the Marvel Cinematic Universe to be focused on a black character, made headlines its opening weekend for breaking a good share of box office records. More than a month later, the milestones keep on coming, and we expect they will continue to be achieved. Soon, Black Panther will pass fellow MCU installment The Avengers to become the highest-grossing comic book/superhero movie of all time. For now, we’ve compiled the records met or broken so far. Note: Unless noted, all records represented are for domestic release and are not adjusted for inflation. Certified Fresh at 97% on Rotten Tomatoes, Black Panther was more positively received than any other live-action and/or comic book-based superhero movie, bettering prior champions Iron Man and The Dark Knight but tied with Pixar’s animated original film The Incredibles. While we wait for Black Panther to pass The Avengers on the all-time domestic chart, we can celebrate the fact that the movie has defeated all other MCU solo superhero installments, as well as previously reigning Batman movie The Dark Knight. On its first day, Black Panther was already the highest-grossing movie of this year. That might not seem remarkable for a mid-February release, but nothing has come close to its take since, and the disparity between the top 2018 spot and second place is more than $500 million difference. Admittedly, the year is still young, and there are a few titles that could legitimately challenge Black Panther for that top spot (Avengers: Infinity War, anyone? ), but it will likely remain this year’s champ for a while. 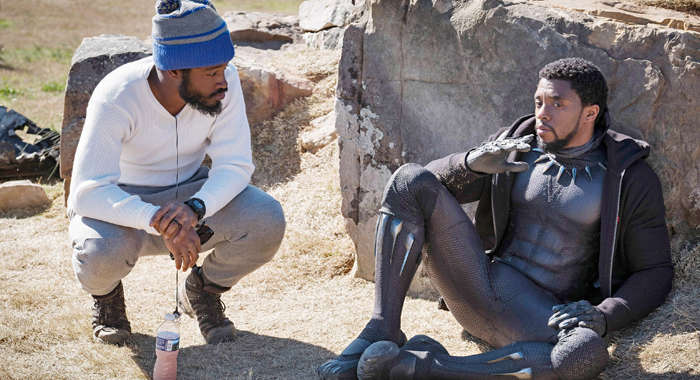 Black Panther helmer Ryan Coogler is not just one of the highest-grossing filmmakers of all time now, but he also immediately passed The Fate of the Furious’ F. Gary Gray to become the highest-grossing black director for domestic release, and he eventually topped Sidney Poitier’s inflated record for 1980’s Stir Crazy. Worldwide, however, Gray is still the champion. Before Coogler, F. Gary Gray had the best debut for a black director, but the best opening by a non-white director had been James Wan with the previous Fast and the Furious installment, Furious 7. Coogler has taken that throne as well. Coogler is currently one of the best-reviewed young filmmakers, period. He has so far only directed three features (Fruitvale Station and Creed being the other two), but they have an average score on Rotten Tomatoes of 95.33. Given the high marks of his previous efforts, the fact that Black Panther is his best-reviewed is actually quite impressive. Black Panther started off in a great place. Without adjusting for inflation, the movie’s three-day opening weekend take of $202 million placed it behind only The Avengers, Jurassic World, Star Wars: The Last Jedi, and Star Wars: The Force Awakens. 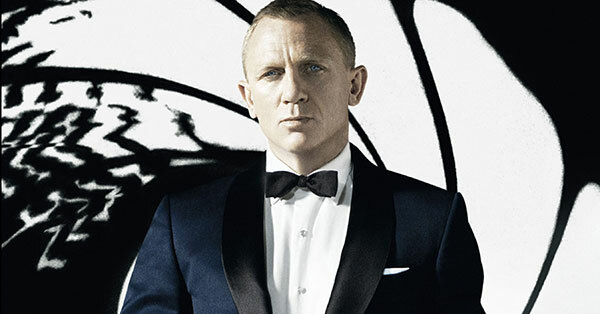 These five titles are the only movies ever, in fact, to debut above $200 million. 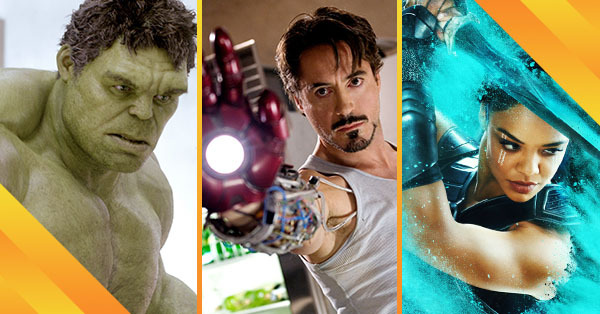 Superhero movies are pretty popular in general across the world, and Marvel’s releases have opened very well overseas. Black Panther opened outside of America behind The Avengers, Avengers: Age of Ultron, Iron Man 3, and Captain America: Civil War. But, as noted above, it was the best first installment for a solo superhero segment of the franchise. We used to associate giant blockbusters only with summertime and the holidays, as that’s where most of the high-grossing titles have dominated. Black Panther didn’t necessarily have an easy time ruling the pre-summer frame, yet it did succeed in beating Beauty and the Beast for that record, as well as Deadpool for the record for best February and best President’s Day weekend openings. Not only did Black Panther break the President’s Day weekend record, but the movie debuted better than any movie on any four-day holiday weekend, including Memorial Day. Black Panther did open on a holiday weekend and so had the benefit of playing early on a holiday Monday. For that, the movie broke the record for best Monday gross of all time, topping even Star Wars: The Force Awakens. 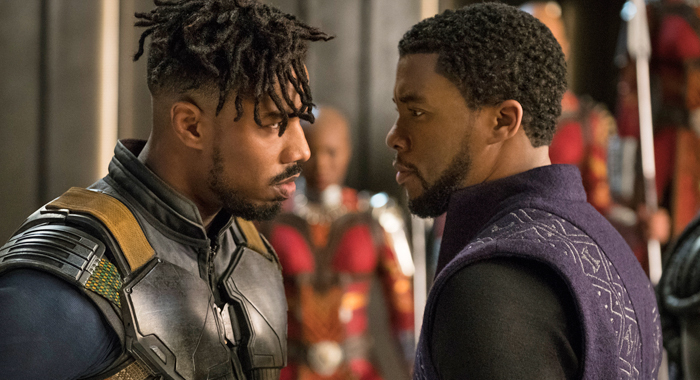 While Black Panther had a slightly lower three-day opening than The Avengers, the movie has been pacing better than the Marvel team-up ever since. With the fourth-best opening week overall, Black Panther had the very best first seven days of any MCU installment. Not all movies open on the same number of screens, so it’s often worth looking at how much they gross, on average, in each location. 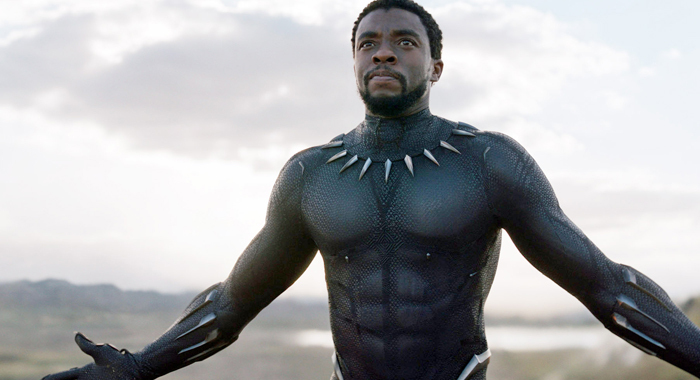 Black Panther managed to beat The Avengers for the superhero throne in this category, though it still placed behind Star Wars: The Force Awakens and Star Wars: The Last Jedi. One of the reasons for Black Panther’s stellar reviews is the performances by its magnificent ensemble. 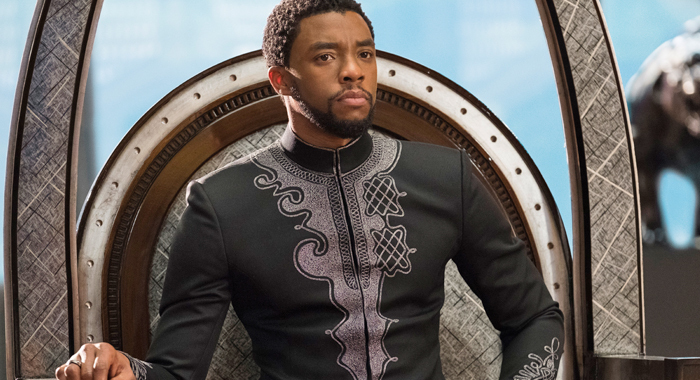 Among that cast, the major stars of the film wound up with their best-reviewed movie yet, and that’s pretty impressive when you consider Chadwick Boseman’s success in well-received biopics, Lupita Nyong’o’s Oscar-winning turn in 12 Years a Slave, and the fact that Michael B. Jordan has starred in all of Coogler’s acclaimed movies. Supporting player Daniel Kaluuya, however, earned a Best Actor Oscar nomination for starring in last year’s Get Out, which sports a Certified Fresh 99% on the Tomatometer. In addition to being the best-reviewed movie for its primary cast, Black Panther is also their highest grossing for domestic release. Well, except for Andy Serkis, who is in two Star Wars movies that rank higher. Still, for a movie with a black hero and a predominantly black ensemble, Black Panther had the best opening and is now the highest-grossing production of its kind. 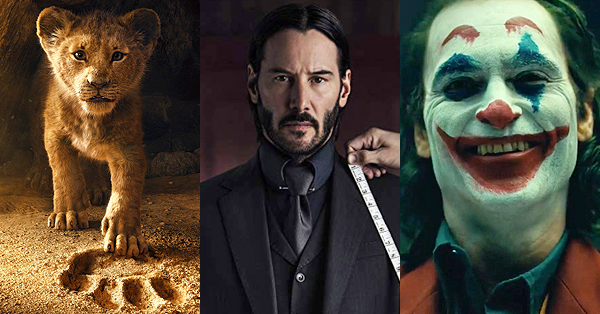 It’s pretty rare for a movie to hit $200 million in its first weekend, but it’s even rarer still for a movie to hit at least $100 million more in its following weekend. Black Panther was only the fourth release to do so, and what’s more, it had the second-best second weekend ever with $112 million, behind only Star Wars: The Force Awakens. Coupled with that achievement is the fact that Black Panther had the smallest drop from first to second weekend of all the MCU movies, with just a 46% decline. By maintaining the top spot in its fifth weekend of release, Black Panther achieved something not seen since Avatar back in 2009/2010. With movies opening on more screens and expecting front-loaded box office success these days, being a quintuple threat is a rarity, and only The Sixth Sense and Titanic have reached that mark in the last 20 years. The First Superhero Movie to Go Five Weeks at #1 in 40 years. If we narrow it down further, however, the feat is even more impressive. To find another release from the superhero genre that topped the domestic box office for five or more weekends in a row, we have to go all the way back to the first Superman, which went eight weeks in 1978/1979.